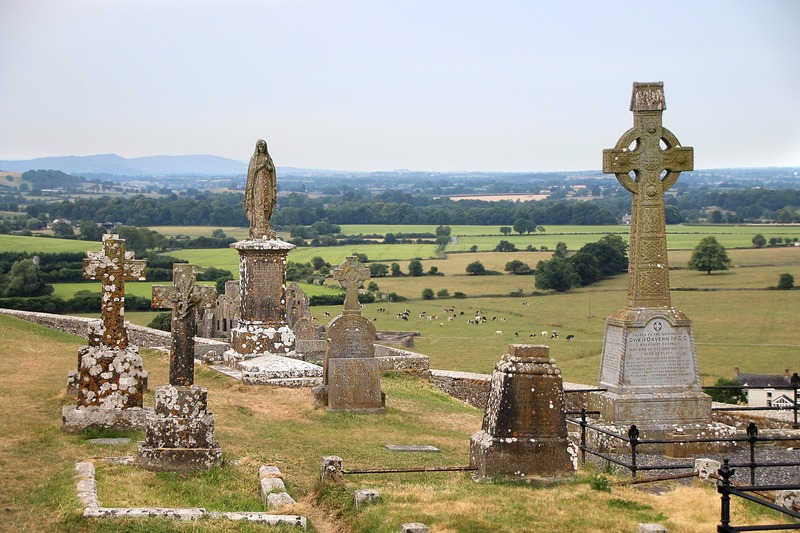 IS IRELAND REJECTING THE CROSS AND RETURNING TO ITS PAGAN PAST? These words, from Irish commentator John Waters, are in response to the people of Ireland’s [overwhelming] choice to deny the unborn the right to life. Ireland is the first nation in history to enshrine the law through a majority vote of its people [that took place this past May]; it wasn’t imposed upon them by cultural elites or the courts. For now, Ireland has made its decision to say no to Christ. Like many, I was shocked and sickened as I watched the crowds dance with glee, asserting their new-found freedom. What they were celebrating, whether they grasped it fully or not, was the euphoria of fallen human nature and its constant desire to “suppress the truth” about God. St. Paul tells us that it is through the “ungodliness and wickedness of men” that human beings refuse to honor God as God and to give Him thanks (Rom 1:18, 20). What would it profit Ireland to go the easy way of the world and suffer the loss of her own soul? Your country seems in a sense to be living again the temptations of Christ: Ireland is being asked to prefer the ‘kingdoms of this world and their splendor’ to the Kingdom of God (Mt 4:8). Satan, the Tempter, the Adversary of Christ, will use all his might and all his deceptions to win Ireland for the way of the world. What a victory he would gain, what a blow he would inflict on the Body of Christ in the world, if he could seduce Irish men and women away from Christ. Now is the time of testing for Ireland. This generation is once more a generation of decision. Ireland has failed the test. We pray that she may repent and turn back, but for now she has fallen to the temptation of the Adversary of Christ. The majority have decided to turn a deaf ear to the warning Christ brought to them through the prophet St. John Paul II. [Still, with the World Meeting of Families beginning this week in Dublin, let us not lose hope that Ireland will, once again, turn to the Cross as its true hope}. Of course, we know that Ireland is not alone in its acquiescence to the spirit of the age. The whole world is being drawn into this same temptation, to prefer the “kingdoms of this world and their splendor” to Christ. The important thing for us in the Church is to heed the warnings of the prophets the Lord has sent to us. If we don’t, we too will join the throngs of the baptized who have been seduced into embracing a false freedom that calls darkness light. Prayer is what will prepare us to face the trials that have already begun and that will not only continue but will intensify. Jesus will give us all we need to be faithful and fruitful in this time of trial. He will turn the devil’s strategies against us to our good and to His glory, if we stay united to Him.